From the beginning of HMCC-HK’s journey, our purpose has always been about life transformation and the glory of God. It is hard to believe that we are slowly approaching the end of the two-year mark of our church plant. So far it has been a whirlwind experience, to say the least, but through it all, God has been faithful and good. Over the last two years, we have seen many people come to know Christ for the first time, get baptized, experience biblical community, find purpose in life, and commit to living for the Kingdom of God. I get overwhelmed with a great sense of gratitude for God’s grace over my life, as I have the privilege of seeing God’s work of transformation firsthand. With so much happening, it is always important to stay rooted in the Gospel. It is only by God’s grace that we have come so far. In September 2015, we started off with two LIFE Groups – one on the Chinese University of Hong Kong campus (CUHK) and one on the Hong Kong Polytechnic University campus (PolyU). Since then, we have seen each LIFE Group multiply on both campuses. Then in 2016, we started two LIFE Groups for our City Ministry – one for the single working adults (Focus ministry) and one for the married couples (Covenant ministry). God has been growing our church, one life at a time, one family at a time, and one university campus at a time. In order to reach Hong Kong with the Gospel, we have concluded that we need to reach all the universities in this great city. Therefore, back in October 2016, we started another LIFE Group on our third university campus of the Hong Kong University of Science and Technology (HKUST). As we saw more lives experience transformation through the power of the Gospel, we started to pray for other university campuses that do not have an HMCC LIFE Group. 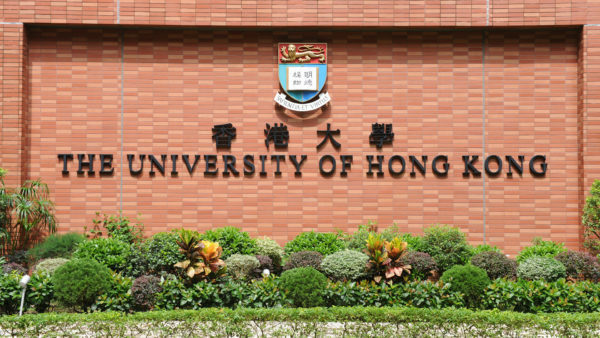 In particular, we have been praying for the University of Hong Kong campus (HKU), which is the oldest university in Hong Kong and the most influential. After lots of prayers and patiently waiting for God’s open door, in September 2017, we will start our first LIFE Group on the HKU campus. All four of these university campuses have a significant role in our greater vision of reaching Hong Kong. Therefore, we know that it is God who is going to help us start and sustain this LIFE Group. I want to further explain the specific steps that went into making this decision. In December 2016, the Executive Team and I met together to have our bi-yearly summit, where we spent some time to pray, plan and prepare for the new year. As we talked about HMCC-HK’s greater vision, the topic of reaching other campuses came up. Back then, the talk about starting another LIFE Group in another campus seemed absolutely ridiculous in light of everything that was going on in our church. So, we decided to come up with some marker to gauge and see if starting a LIFE Group on another campus was even possible. Consequently, the SCOPE acronym became our measurement to discern and guide us in our decision. 1) S – Strong LIFE Groups. We knew that we could not start another LG if the other LGs were not healthy and strong. Therefore, we made it a clear goal to see our most recent LG on the HKUST campus grow in health and in number. We also wanted to raise up a person who will be qualified to lead the HKUST LG in September 2017, since I would no longer be able to lead it. Since that time, we have seen the HKUST LG grow in health and in numbers; but most importantly, we have raised two leaders to lead the LG for next year. 2) C – Core Group. Another factor that we needed to consider was developing a strong core group of people who were committed to the mission and vision of the church. We realized that without a core group of committed people, an LG can easily implode. Therefore, we made it our goal to develop and train up a core group of people who will be the foundation for the future LIFE Group on the HKUST campus. At our last LG, we were all humbled to see that God indeed formed a strong core group for next year. 3) O – Opportune Moments. One thing we wanted to make sure about was that we were discerning God’s timing with the launch of a LIFE Group on HKU campus. We started to do some research to be more aware of the needs of the HKU campus, as well as to see what other Kingdom work is happening. Also, we realized that if this is something that God is leading us to do, then, He would need to raise up someone who can help me lead this LIFE Group. Recently, one of our church plant members stepped out in faith and applied to the graduate program at HKU, which was in line with God’s calling on their life. About 1.5 months ago, this person found out that they got accepted into the program. All the pieces were coming together; therefore, we decided to respond in faith to God’s opportune or kairos moment. 4) P – Potential Partners. If we were going to move forward on this endeavor, we knew that God had to bring the right people to start this LIFE Group. We found out that there were a few people who went to HKU but attended a PolyU LIFE Group this past year. In order for these students to be missional, they should reach out to their own campus. Therefore, the need to start this LG on HKU was more pressing. Also, we started to find out that several other people got accepted to HKU and they were coming in as a 1st year student in September 2017. This was truly God’s handiwork in bringing these people to our context. We believe that some of these students will partner up with us in reaching HKU for God’s glory. 5) E – Equipped Leaders. The leadership guru, John Maxwell said, “Everything rises and falls with leadership.” When we have well trained and equipped leaders, we can accomplish a lot of things. Therefore, we wanted to make sure that the leaders who will lead HKUST and the other LG leaders on the other campuses are well prepared to lead this coming year. We have spent the whole summer developing and raising up the next generation of leaders with our summer LGs. I will continue to help train and develop these leaders throughout the year. Also, the person who will be partnering with me to lead the HKU LG has a lot of experience in LG ministry, but throughout this year, I will help further develop this person to be even more effective in leading LG. Living a life of faith is exciting but at the same time, it is scary. I told people that listening to God’s voice and stepping out in obedience is really “scary exciting!” We don’t know everything that will happen, but one thing we do know is that God will go with us. He loves the campus and the people of HKU more than we do; therefore, all we can do is pray and trust that God will use us for His glory. If you know of anyone who is coming to HKU as a new student or even a current student who is not connected to a biblical community, then please let us know. We want to reach out to them and invite them to be a part of the LIFE Group experience. We will start reaching out to students at the end of August and start the LIFE Group in the beginning of September. We would greatly covet your prayers in this new season of ministry. We know that this mission cannot be accomplished by ourselves, but we need God’s people to rally together in prayer. Will you join us?